Your sinks are vital kitchen and bathroom components. At GT Campbell Plumbing, we provide a full range of sink services, including installation, sink repair in Rochester and maintenance. Chances are, your sinks see a lot of use each and every day. To ensure that they won’t fail when you need them most, you need to start with a professional installation and keep up with maintenance. We provide plumbing services throughout Monroe County, and we are here to help with any type of sink project. a huge mess if you aren’t properly trained. Cracked sink basins are also fairly common. A small crack may not seem like a big deal, but in time, the crack can become larger and deeper, potentially allowing your sink to leak. 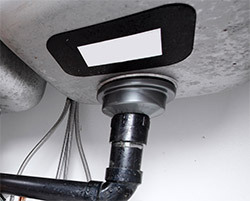 A leaky sink leads to mold growth which is a major health concern. When you call us, we will assess the crack and help you determine whether it can be repaired or if you should replace the sink. At GT Campbell Plumbing, we are proud to offer high quality plumbing services for sinks. Whether you’re getting a new sink or you need help repairing your existing sink, don’t hesitate to contact us. 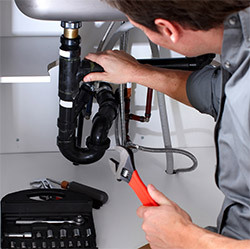 We have plumbers on call and they would be more than happy to help you with your sink plumbing needs. Call now!